This book was a lot more appealing to me because it was written from the point of view of a princess rather than the prince. However, this book had a cliffhanger and Ms. Cass just has to write another one now. Also, there are two fantastic book covers for this book so I’m going to include them both! Feel free to comment and tell me which one you like better! The future queen of Illea is standing in front of her people, ready to announce the biggest decision of her life: there will be another Selection. All of the crowd is astounded as there have only ever been Selections for princes- not princesses. However, what nobody realizes is that the Selection is only a way to divert attention from the impending war. Princess Eadlyn’s parents have almost begged her to host another Selection to distract the people. Eadlyn has no choice but to give in, lest the subjects of their kingdom lose faith in the royal family. Eadlyn meets the 35 men who will compete for her heart but she is not attracted to any of them. When a candidate for the Selection assaults her, another gets in a fight, one doesn’t know her language, and some are too forward, Eadlyn starts losing whatever confidence in the Selection she had in the first place. Will she ever find a man to rule by her side? Great review! 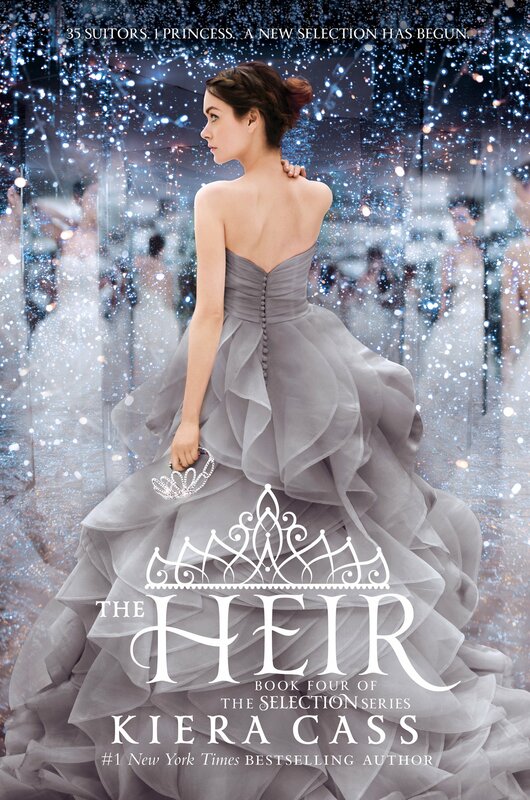 I recently read and reviewed the Heir as well and it was a five star book in my eyes, too! As far as the two covers go (though I have the one with the gray dress) I love the overall color and look of the first option. 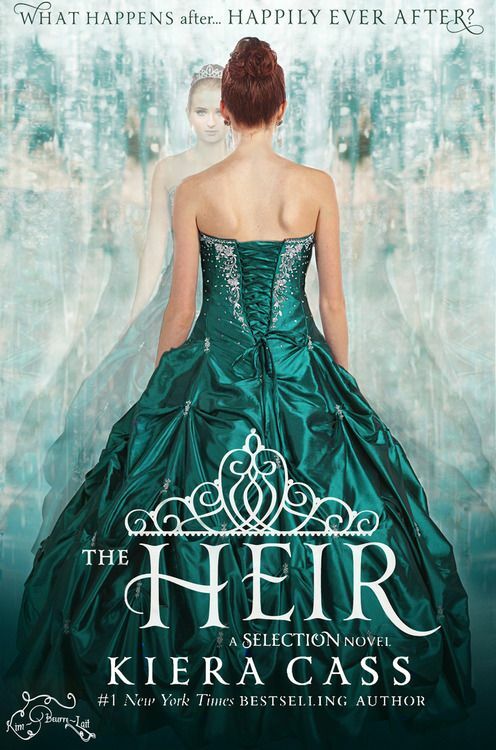 Also, I thought it was interesting how the first cover depicts Eadlyn facing away. All of the other covers of the previous books had America turning her head to look at the camera but on that cover Eadlyn is looking in the complete opposite direction. Symbolism maybe? I don’t know. Both covers are beautiful. Great review! Thank you so much! I totally loved the first cover although I have to admit that the dress design of the second one was far more appealing… As far the the symbolism goes with looking in the completely opposite direction, I feel that it is showing the girls’ opinion about the whole thing. As in, America thought she loved Max and she was willing to participate in the Selection so the picture portrayed her looking back at him while Eadlyn doesn’t like the idea of the Selection and is turning away from her suitors. Is that accurate? By the way, I read some of your blog posts and I cannot figure out how you seem to write so much while still captivating your audience! Amazing work Audrey! Keep it up! Thank you so much! I think you’re spot on with the symbolism interpretation. I’m really excited to see what the next cover looks like!